Though Caterpillar, Inc. was founded in 1925 in California, the headquarters is located in Peoria, Illinois. The company had its roots in steam tractors called caterpillars that were invented in the late 1890’s. Now, the CAT Corporation is in the top fifty Fortune 500 companies. They manufacture heavy equipment, as well as sell financial products and insurance. Caterpillar does business worldwide through dealers around the globe. They design, manufacture and market mini, small, medium, large, and ultra high demolition excavators. 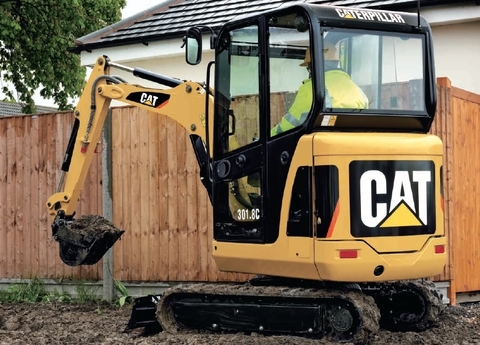 Cat mini excavators are known for powerful digging force and fast cycle times that increase productivity. 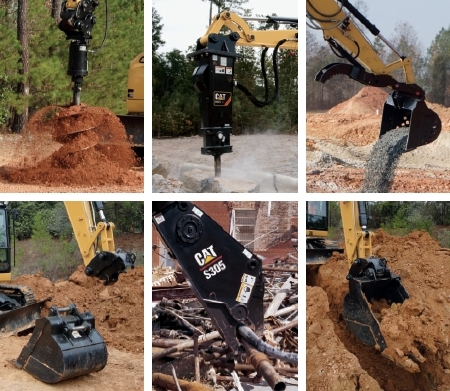 There are ten models of Cat mini excavators, ranging in weight from 3,549 pounds to 18,519 pounds. Horsepower levels in this class go from 18.1 to 55.6. All offer spacious cabs with low noise levels to extend operator endurance. Ergonomic controls that respond quickly and smoothly also help with operator comfort. Attachment changes are quick and easy thanks to the Pin-Grabber Coupler design. Fuel consumption is reduced by the features of auto-idle, two-speed travel, and load-sensing variable pumps. 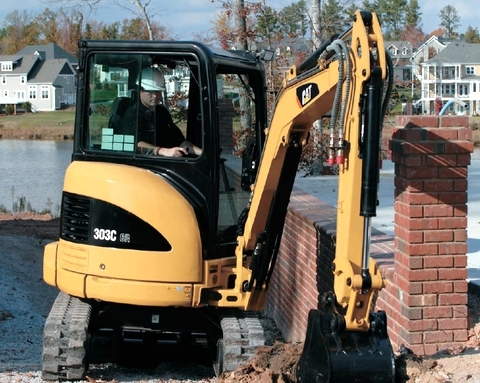 These compact excavators come in traditional or minimal swing models to provide the right machine for each work site. The smallest model of the Cat mini excavators is the 301.6C. The large operator cabin is surrounded in flat glass to give the best visibility possible. Operators can work efficiently and comfortably in the suspension seat with adjustable wrist supports. Leveling jobs are a cinch with the dozer blade float function. Optional attachments, such as augers, hydraulic hammers, vibratory compactors, and a variety of buckets provide for all job needs. The rear door swings wide open to provide easy access for maintenance, including air filter; engine oil check and fill; engine oil filter element; radiator reservoir tank, check and fill; vertically-mounted, spin-on fuel filter/water separator; and windshield washer fluid tank. 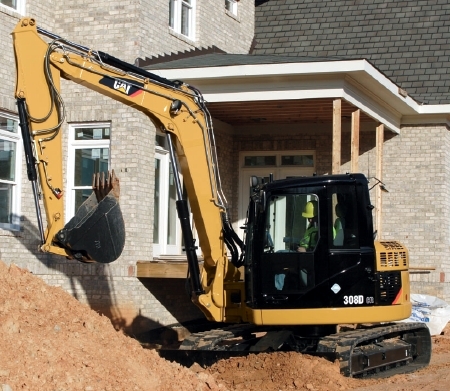 The 308D CR SB Hydraulic Excavator is the largest of the Cat mini excavators. This machine has a very minimal tail swing radius, making it a power and efficient option in tight spaces. The hydraulics are smooth and responsive to give the operator the ability to do a variety of jobs quickly and excellently. The undercarriage can be customized to the needs of the customer, but will always provide great stability for the machine. The optional Machine Security System is a deterrent for theft and vandalism. With a bucket digging force of 13,489 pounds, this big little machine can get just about any job done. Our company is engaged in excavators, bulldozers, forklifts, cranes (chassis parts , oil seals , filters, turbo , hydraulic hammer , bucket , bucket ROCK) all machines and parts etc. Our products are exported to Europe, America, Southeast Asia and other countries. BRAND: KOMATSU, DOOSAN, HYUNDAI, HITACHI, KOBELCO, VOLVO, SUMITOMO, CATERPILLAR, KATO, etc. I would like to advertise on your website, kindly let me know what advertisement opportunities I can avail on your website. I work as a digital Marketing expert and i would like to advertise their products and company through your website. Further information regarding the advertisement will be provided to you later. Payment will be transferred through either PayPal (preferred) or Bank wire transfer service.